Check my Twitter feed for photos because there is little use uploading them here. 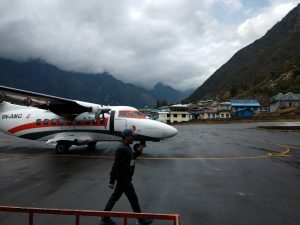 But maybe tomorrow weather in Lukla will be better and I can go into greater detail. We are safe, reunited after separate flights due to weather and healthy. We walk towards Namche in the morning. Check my Twitter feed if you can and thank everyone for your well wishes. I read each one. There you are. The fun begins! 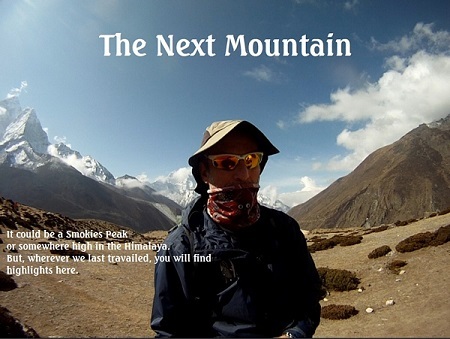 I’m also following the summitclimb.com site. Have a great trip! Just wanted to let you know that Momma, Daddy and I will be following along on your journey. You and Laurel will be in our prayers daily. Best of luck and have fun!! Glad to hear all is well! Have a safe and fun climb!!! Good luck and have fun. JQ Summit!. Laurel, be safe and have fun. Enjoy.